Born in Leavenworth, Kansas on September 8, 1898. Commissioned in the Infantry from West Point in 1919. Member of the Olympic Boxing Team in 1920. Instructor at West Point 1922-1926. Aide to the Commanding General of the Philippine Department 1926-1928. Instructor again at West Point 1929-1933. 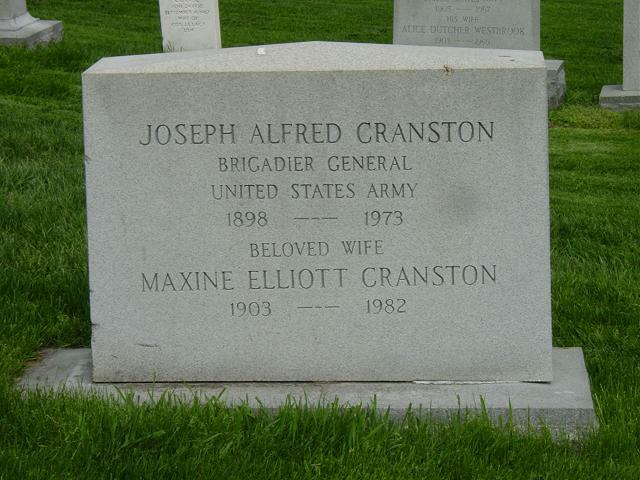 Graduated from Command and General Staff School in 1935 and the Army War College in 1938. With the War Department General Staff 1940-1942. Staff officer at Army Ground Forces 1942-1943. Brigadier General in March 1943. With Services of Supply, China-Burma-India Theater of Operations 1944-1945. Retired in July 1948. Decorations included the Distinguished Service Medal, Bronze Star and Commendation Ribbon. Died on December 2, 1973.